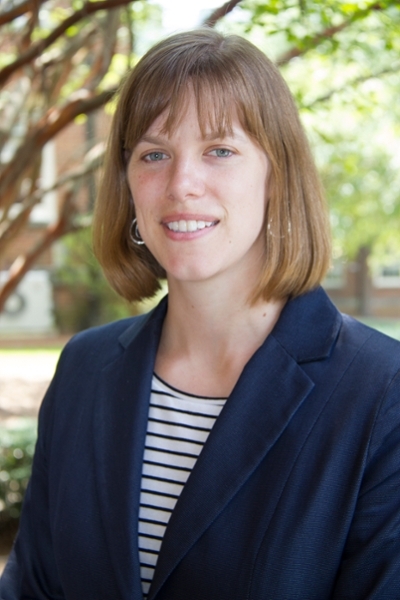 Dr. Joy Buchanan is an Assistant Professor of Quantitative Analysis and Economics in the Brock School of Business. She teaches data analytics and economics courses. Joy is using economic experiments to understand how employers and workers respond to recessions. Her work has been supported by the National Science Foundation and other organizations. Visit Joy's website www.joybuchanan.com to learn more about her professional activities and also visit her book website www.nicodemusstory.com to see her historical fiction novel about Nicodemus. "Smile, Dictator, You're On Camera," (2017), with Matthew McMahon, Matthew Simpson and Bart Wilson, Southern Economic Journal. "Economics of the World Beyond the Classroom: Two Methods for Teaching," (2017), with Steven Gjerstad, Journal of Economics and Finance Education. "Information Effects in Multi-Unit Dutch Auctions," (2016), with Steven Gjerstad and David Porter. Southern Economic Journal 83: 126-145. "An Experiment on Protecting Intellectual Property," (2014), with Bart Wilson. Experimental Economics, 17:4, 691-716. "Underwater Recession," with Steven Gjerstad and Vernon L. Smith. The American Interest, May/June 2012.